In order to reset your password on an x86 installation, you will need any GNU/Linux live CD and a g++ compiler. Boot your Mikrotik PC with a live CD and mount the partition with the Mikrotik RouterOS. 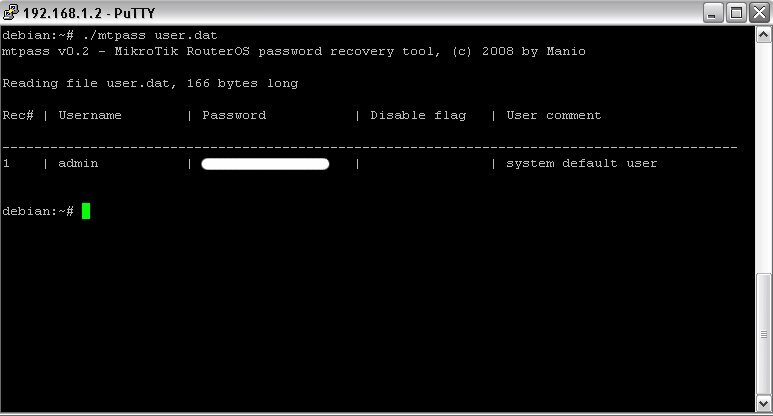 Copy the passwords file (/mnt/nova/store/user.dat - path depends on where you mounted the partition). If you can't copy the file, use 'sudo su'.